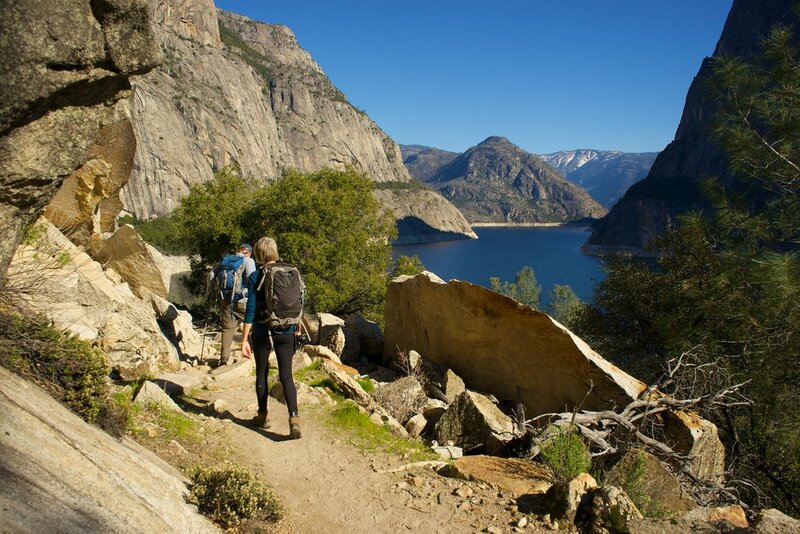 This is a great early season Yosemite backpacking tour that takes you through the lower elevation and historical Hetchy Hetchy area in Yosemite National Park. 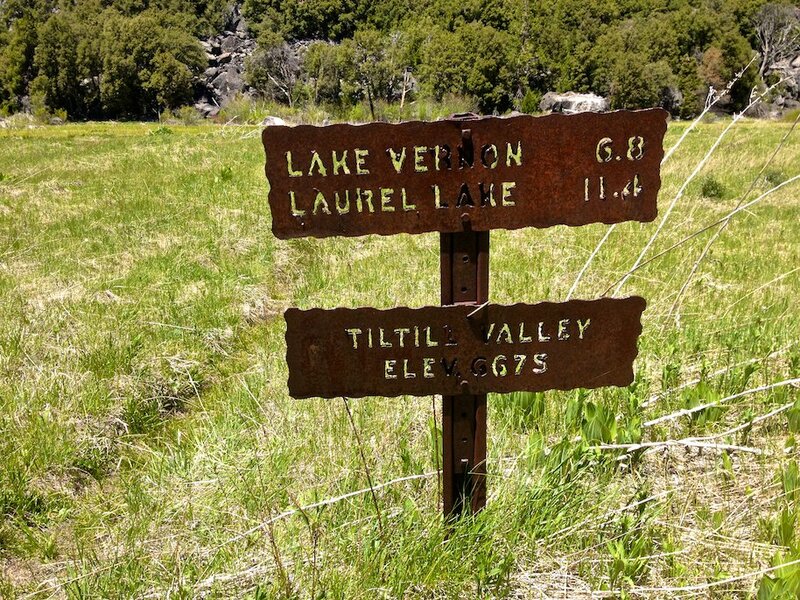 If you've got the urge to get out in the wilderness before the higher trailheads are open, this is the trip for you. Hetch Hetchy Valley was a beautiful glacier-carved valley on par with neighboring Yosemite Valley until congress passed the Raker Act in 1913 which allowed the construction of O'Shaunessy Dam and the flooding of the valley to supply water to the city of San Fransisco. John Muir spend his last days lobbying against the flooding of Hetch Hetchy and had this to say: "One may as well dam for water-tanks the people's cathedrals and churches, for no holier temple has ever been consecrated by the heart of man." 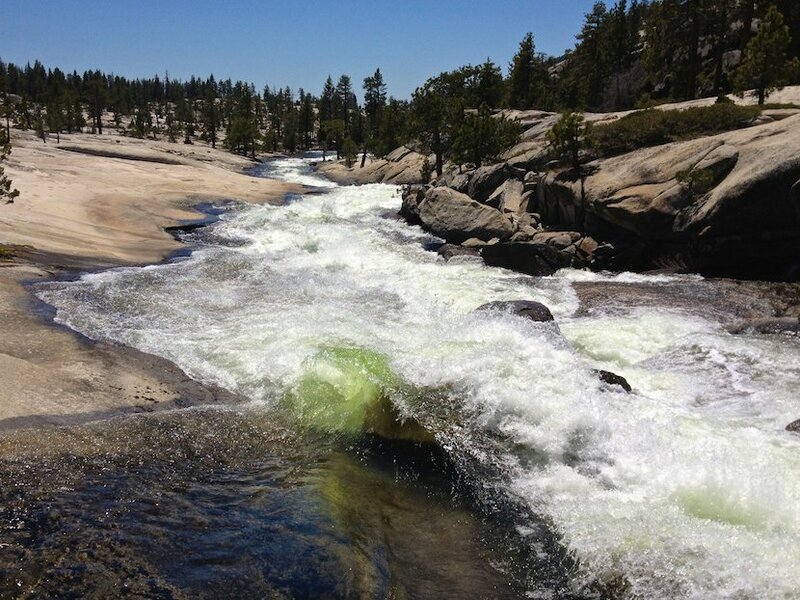 We begin by spending the evening at a backpackers campground near Hetch Hetchy resevoir, The next day we hike across the dam and along Hetch Hetchy on the Wapama Falls trail with outstanding views of not only Wapama Falls but also Tueeulala Falls. We make our way to Rancheria Falls where we set up our base camp near the roaring falls. We then spend a full day going deeper into the Yosemite wilderness up to Tilltill Valley and beyond before breaking camp on the last day and heading back along the lake. A great trip for beginners since the mileage is low but also for more experienced backpackers looking for something new. Along the way we enjoy grand views, whispering pine forests, great food and good company. 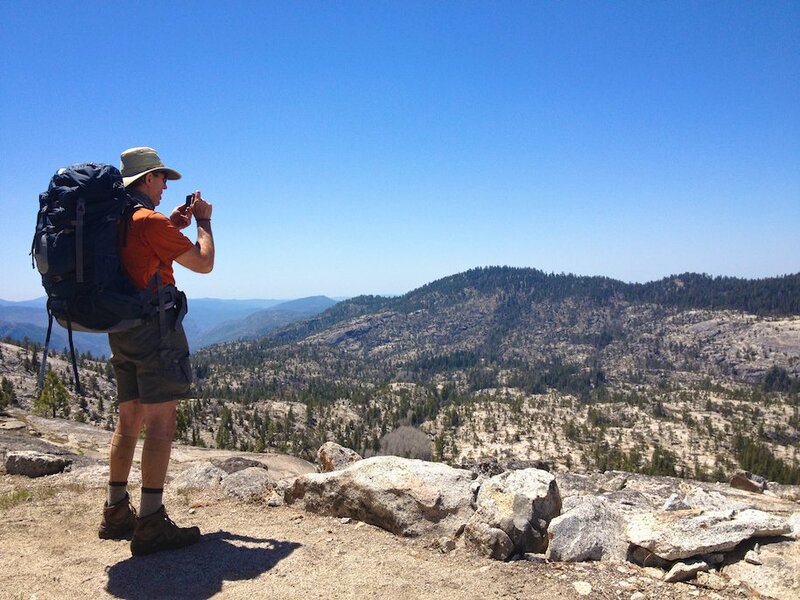 A great way to see the Yosemite wilderness! Very good physical conditioning is required. Previous hiking experience is required. 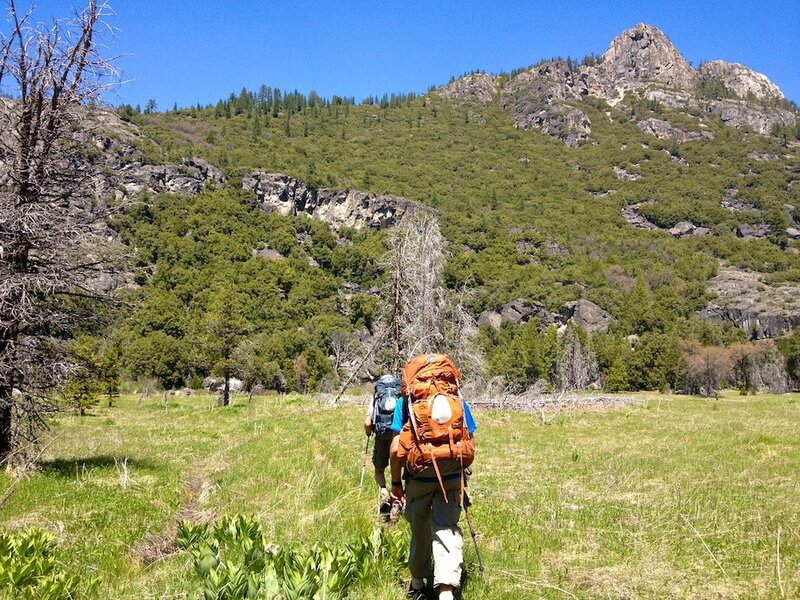 No Previous backpacking experience required. We meet at the Evergreen Lodge near the Hetch Hetchy entrance to Yosemite National Park at 5pm and then drive to our campsite (exact details will be provided). After a gear check and introductions, we will enjoy a campfire and dinner. Camping is provided and there is a trailhead parking area to leave your car. We begin the day by hiking over O’Shawnessy Dam with expansive views of Hetch Hetchy Resevoir. We make our way along the North Shore of the lake past Tueeulala & Wapama Falls. We make our way to the far end of Hetch Hetchy and make a comfortable camp in towering pines near the roaring Rancheria Falls. A quick dip in the creek can be very refreshing! The evening is spent enjoying a fine backcountry camp dinner. Today we leave camp behind and hike with lighter weight day packs up to Tilltill Valley and possibly beyond depending on conditions and group strength. Our guides know some hidden places that are fun to explore in this area. Along the way you may be rewarded with early season wildflowers and wildlife becoming active after a long winter. After a leisurely camp breakfast, we break camp and head back along the shores of Hetchy Hetchy back to our starting point along the dam arriving in the early afternoon.